Amanda Davis is ready to rumble. 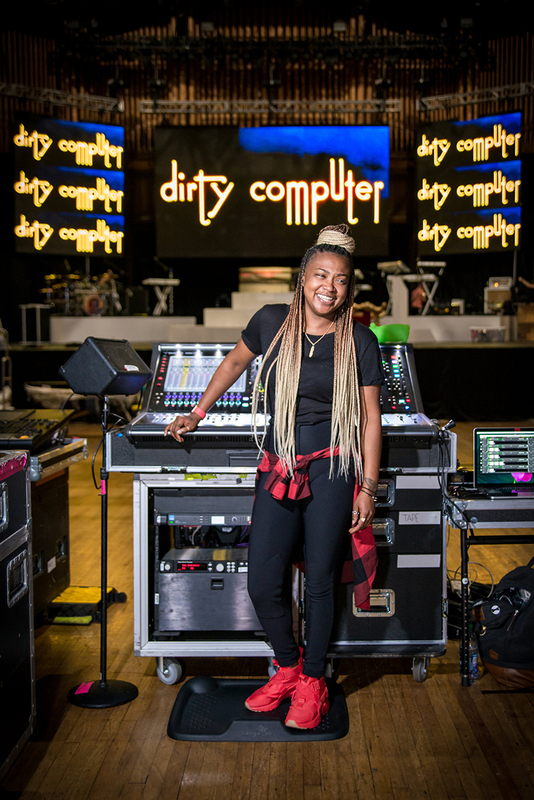 We caught up with the 32 year old L.A.- based FOH engineer for Janelle Monáe, and quickly learned that while she likes to “sit in silence” prior to a show, she’s not one to shy away from having the backs of her fellow tour mates. More on that later. Davis’ career has been nearly as meteoric as Monáe’s, with whom she has worked with for five years. Born and raised in Memphis, TN, Davis was immersed in music from an early age. While R&B continues to be her “absolute favorite” musical genre, Davis attended college in Chicago with the goal of pursuing a career as an opera singer. 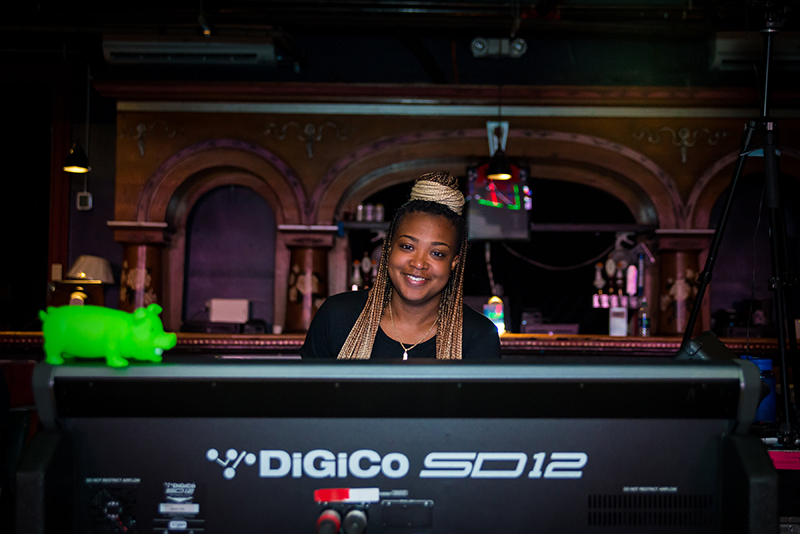 Two years in, she discovered she didn’t want to do it anymore, but did want to work in music. 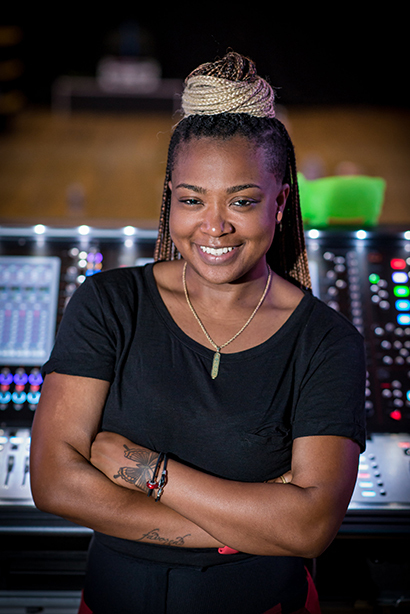 She took a “leap of faith” and went to SAE, focusing on studio engineering, later joining the faculty. 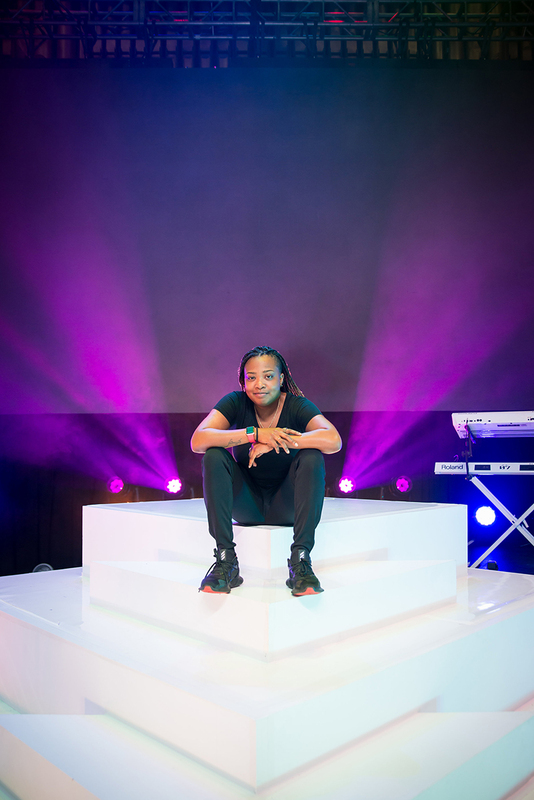 Following her graduation from SAE, Davis started doing live sound for a church. “That’s how I discovered live sound — I just needed money,” Davis laughs. “I was working at a Presbyterian church, and they know the music is important. It’s part of the service and the experience, so they invest in it and invest in the people — the operators.” Looking at it as both a way to make money and to learn, Davis recommended churches as a good way for aspiring FOH engineers to get their feet in the door. Davis credits her strong work ethic to her parents. She also credits her mother with her love of teaching and giving back to the community. Davis continues the practice modeled by her mother. She invites four to seven girls to shadow her and observe sound check throughout the tour with an initiative she originated called LineCheck! 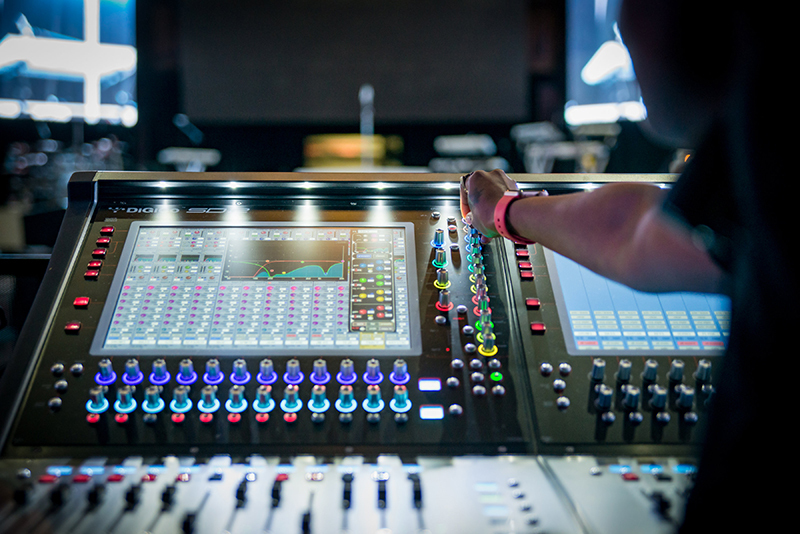 Women in Live Production. “The girls are able to see the behind the scenes of building a show. I’m able to take them onstage to show them how everything is set up. From audio to backline, they observe sound check followed by a Q&A.” Davis says. Another important thing Davis learned is how tight a crew becomes while touring together. “While on the bus after a recent show, someone yelled that the local crew was trying to pull something off our truck,” she recalls. “All of us, including our stage manager, poured out of the bus.” It turned out to be a simple misunderstanding. “Local crew thought we were trying to take their risers,” Davis chuckled. “We all look out for each other, so we all poured out of that bus — the whole crew, and we were ready! Why do we need to steal some steps? Seriously? Is there a black market in steps? We rolled up like a schoolyard fight… all of us! It was so funny!” Fortunately, all was resolved without bruises or bloodshed, and no one got sent to the principal’s office. 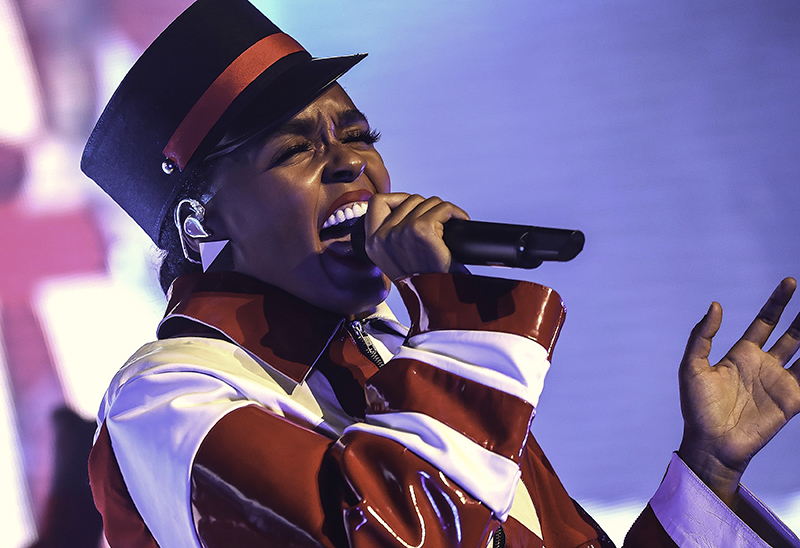 Davis is sticking to Shure for backup vocals using KSM8 handhelds and a Sennheiser SKM 5200 with a 5235 capsule for Janelle Monáe. “I approach vocals how I think I would want it. I just hear it in my head as a singer,” she says. Bon appétit, Ms. Davis. Bon appétit. 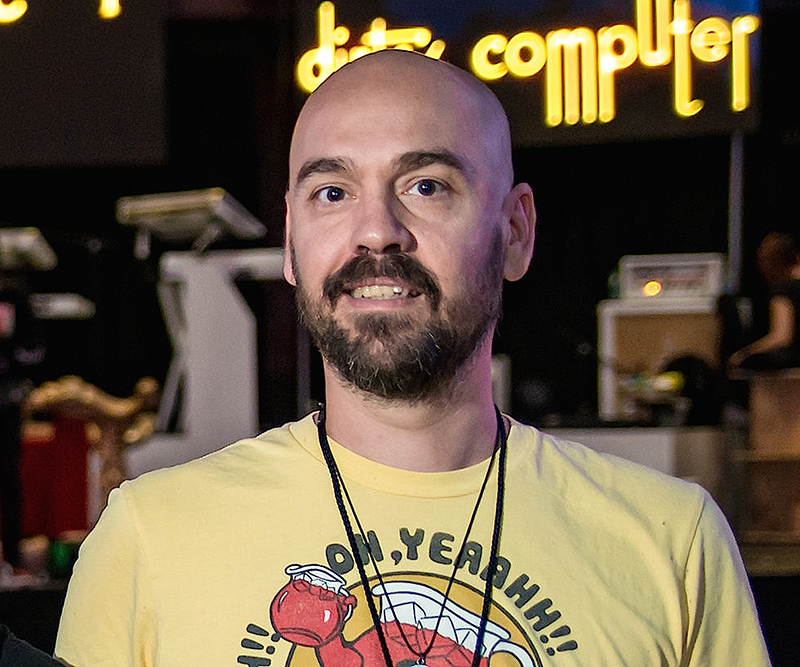 Like Davis, Atlanta-based monitor engineer Anthony Cavasin started out performing before switching to engineering. Cavasin met Monáe early on, in a small club in Atlanta where she was performing in 2006. 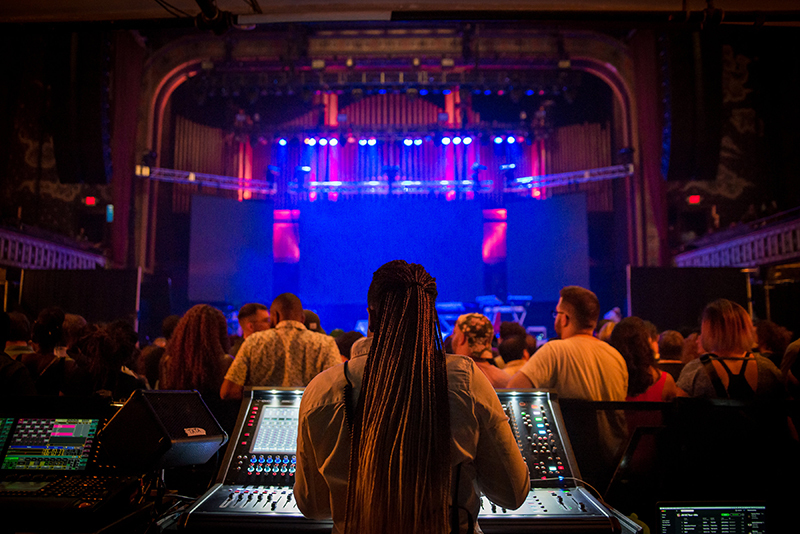 He joined Monáe as monitor tech in 2011 on a Yamaha PM5D-RH, before switching to a Yamaha CL5, which was better suited for touring. This most recent run, he’s switched to the DiGiCo SD12. Cavasin says they are using d&b and “they’ve been working out pretty well,” and will be “trying ARCs on the Europe run to see if I like them better than the V8’s for tops.” Cavasin uses a dual-18 sub on either side to avoid competing with FOH and enjoys “experimenting with different configurations,” switching it up to see if he can get better results. For Cavasin, it’s all about coverage and clarity, so he is “a fan of d&b, Meyer and L-Acoustics. He has also used JBL and EAW. Suzi Spangenberg is a freelance writer based in the San Francisco Bay Area.